Cognitive automation describes the process where intelligent systems are brought into execution to ease the information-extensive processes. It is mostly associated with RPA (robotic process automation), but it shouldn’t be confused with machine learning. The crux of cognitive automation is first to mimic the human experience and then to extend its capabilities for possible future actions. It revolves around incorporating the power of decision making that is a unique ability of the human into machines. The process of decision making also varies when new knowledge becomes known. So, training an automated cognitive system requires mapping the human decisions in the reference that keep changing with time. 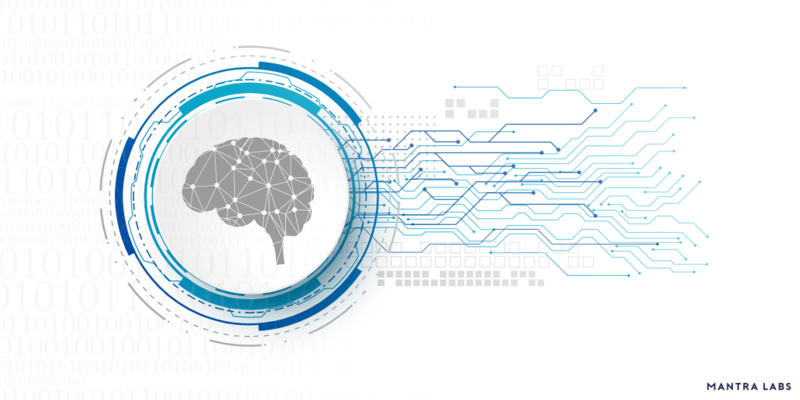 Cognitive automation is expected to bring tremendous changes in the fields of healthcare, finance, and other industry verticals. What are the main pillars that form the Cognitive automation? 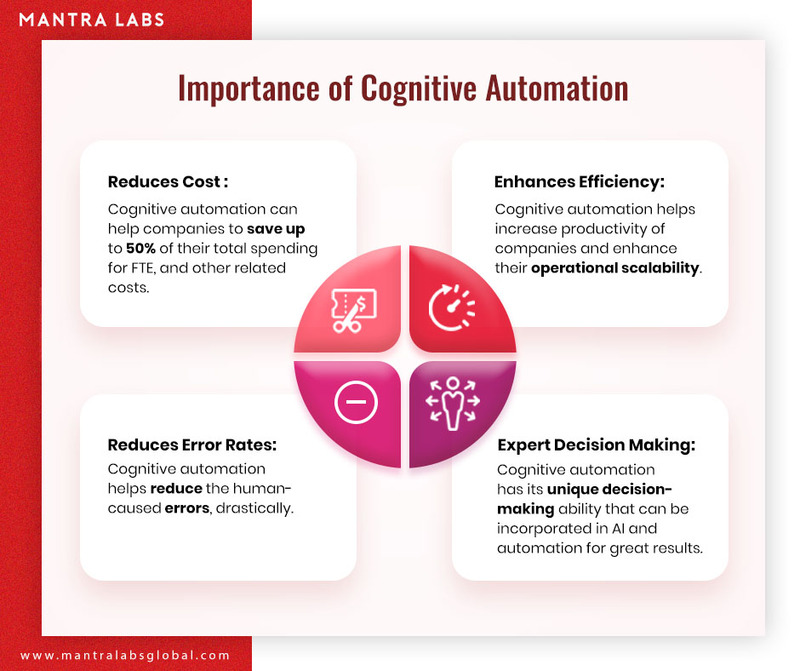 Cognitive automation leverages many technical algorithms and makes use of natural language processing, text analytics, data mining, machine learning, semantic technology, and other similar approaches. To understand this concept better let us assume an automated home security system. It can be programmed to function based on millions of decision, but still, there can be situations when it doesn’t know what to do. The same applies to cognitive automation and to ease the process the cognitive neuroscience guide comes as a rescue for enterprises. We cannot think cognitive automation as a process that can be developed and implemented in a matter of two to three days. Once the tasks for the automation are decided, the next step involves the ingestion of data sets into the cognitive system. These datasets are the raw sets that will be processed by the cognitive system to deliver the expected results. It is the time when the human intervention comes into the picture. Humans are required to train the cognitive system. In the initial stages of implementing the system deliver the wrong results and human guidance is needed to differentiate the right from the wrong. With time and learning the system keeps becoming accurate. Why is it helpful for enterprises? RPA has become an integral part of several enterprises, and cognitive automation helps them to extend automation to more processes. When AI is integrated with RPA, then it utilizes not only the structured data but also the vast volumes of unstructured data. The unstructured data such as the customer interactions can be quickly processed and be prepared for further processing such as predictive analysis. It is a great way to enhance the productivity of the business and also improve the efficiency. Though the cognitive automation is in the nascent stages of implementation, there is an increase in the demand for smart and advanced tools. Cognitive automation can help companies to save up to 50% of their total spending for FTE, and other related costs. As mentioned before cognitive automation is all about easing the company’s operations and creating more accurate systems. 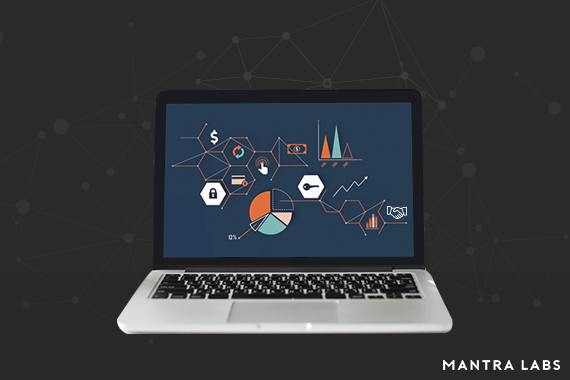 With intelligent automation processes, the productivity of companies is significantly increased and also helps them to enhance their operational scalability. With cognitive automation, the human-caused errors decrease drastically as the system itself is capable of performing the right operations. The expert decision making is one of the most valuable assets of any company. When creating an automated system, the companies can replicate their best employee experiences. Each expert has their unique decision-making ability that can be incorporated in AI and automation for good results. The explorations and research based on the cognitive system are still far-reaching, but companies are gradually turning towards intelligent systems. Technologies are coming into the picture that enables the cognitive automation by replicating the intelligence of human and refining them.